Drs Ikeda and Makibayashi will talk about “Regional Development and Social Entrepreneurship in the Philippines: Turning Migration Strategy on Its Head” and “International Migration Regimes and Human Security” respectively. Click here for more details. 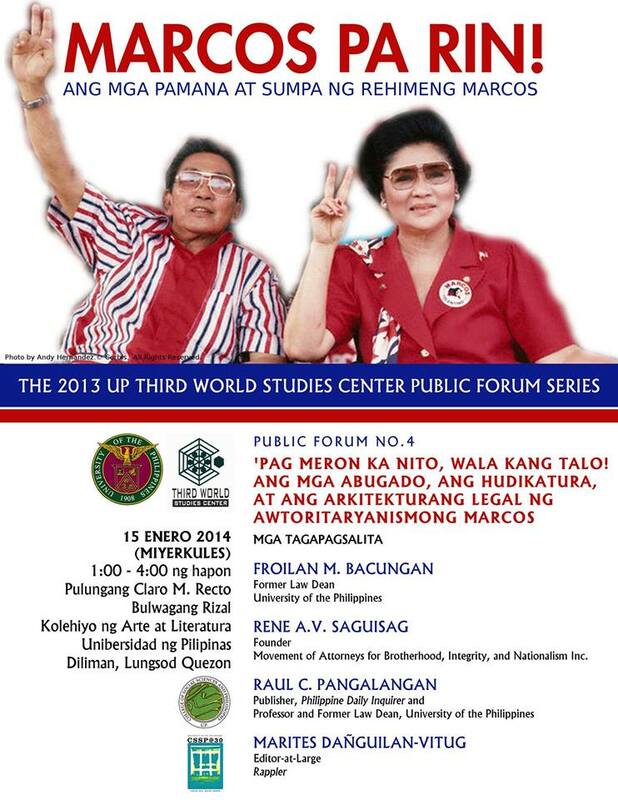 The Third World Study Center presents a public forum on “Pag Meron Ka Nito, Wala Kang Talo! Ang mga Abugado, ang Hudikatura, at ang mga Arkitekturang Legal ng Awtoritaryanismong Marcos” on the 15th of January 2014 (Wednesday), 1:00 to 4:00 PM at Pulungang Claro M. Recto, Bulwagang Rizal, Kolehiyo ng Arte at Literatura, Unibersidad ng Pilipinas-Diliman. Also on the 15th of January 2014 (Wednesday), the IBON Foundation’s Yearend Birdtalk features a discussion of the important events and challenges of the year that was, in light of what could the country and its people be facing in 2014, starting 1:00 PM at Balay Kalinaw, University of the Philippines Diliman. If interested, you may want to check out there Facebook page. 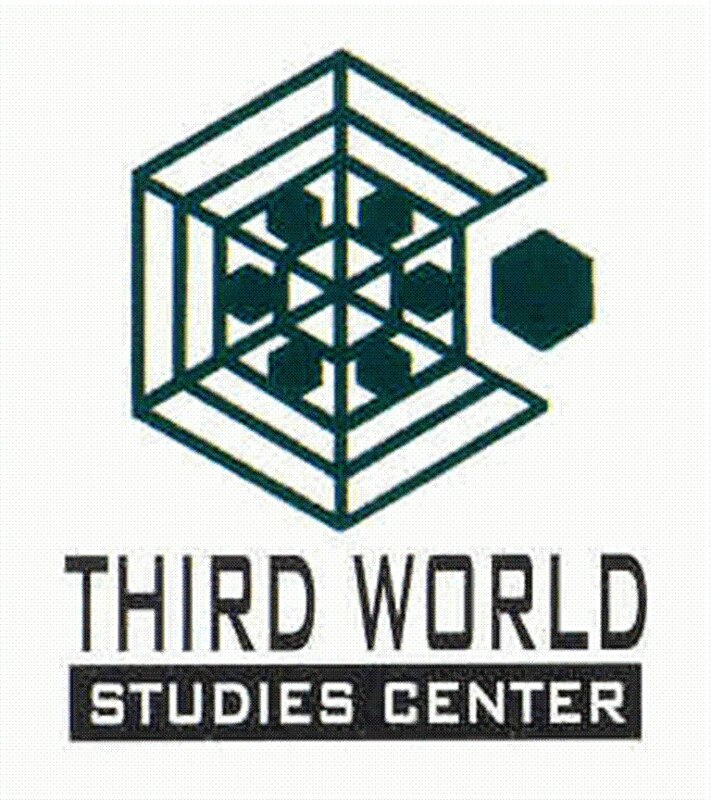 The Third World Studies Center calls for applications for its 2013 Writeshop to be held on 28-30 May 2014. Ten applicants will be selected, who may be social science graduate students, early career researchers, and junior faculty members from any Philippine higher education institution. For more details on the said writeshop, click here.